SPAIN: CHOSEN DESTINATION FOR INTERNATIONAL INVESTORS - Cehaus Webseite! 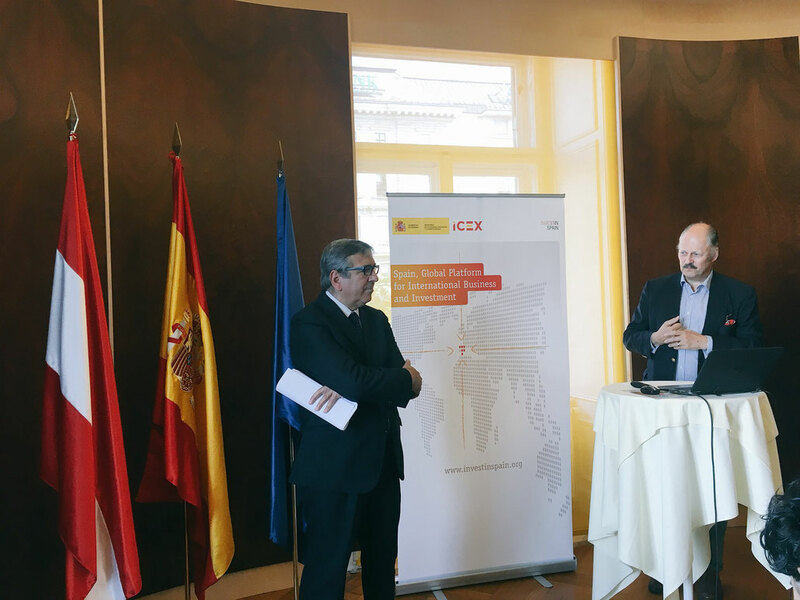 The Spanish Economic and Commercial Office in Vienna in cooperation with the Austrian Venture Capital Association (AVCO) organized the business breakfast “SPAIN: CHOSEN DESTINATION FOR INTERNATIONAL INVESTORS” attended also by a representation of CEHAUS-Board. The presentation was held by José Carlos García de Quevedo, Executive Director of ICEX Invest in Spain, and provided a good overview of the investing possibilities for Austrian companies in Spain or in those market where Spain can offer a competitive added value like Latinamerica or North-Africa. The breakfast took place in the Lounge of Haus der Industrie in Vienna.